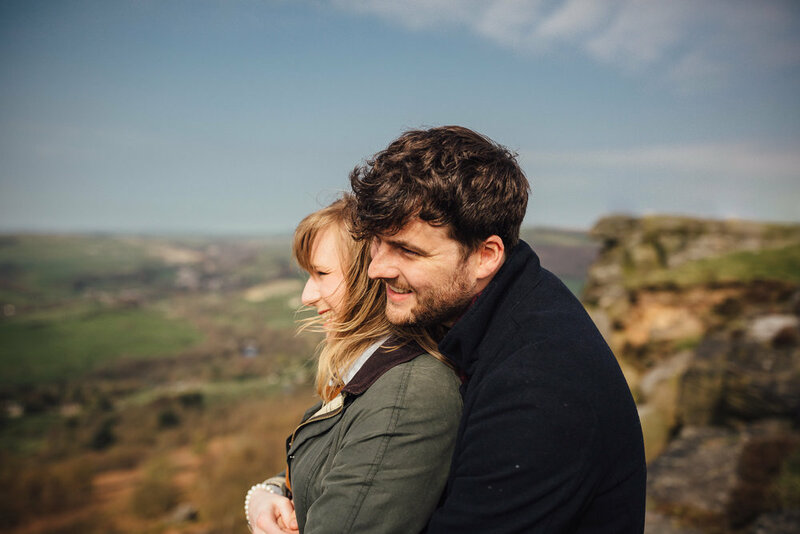 If you love amazing views, colour and fun photos without the ‘cheese’ you’ll enjoy these springtime engagement photos in the Peak District! Kirsty and Sam met me at Ally (Kirsty’s sister) & Joe’s wedding, and shortly after booked me to photograph their big day at Hazel Gap Barn. I can’t wait to shoot at one of my favourite Cripps Barn wedding venues and see all of their family and friends again. The couple wanted to ease some nerves about being photographed, as well as get some some awesome photos of them together before the wedding. 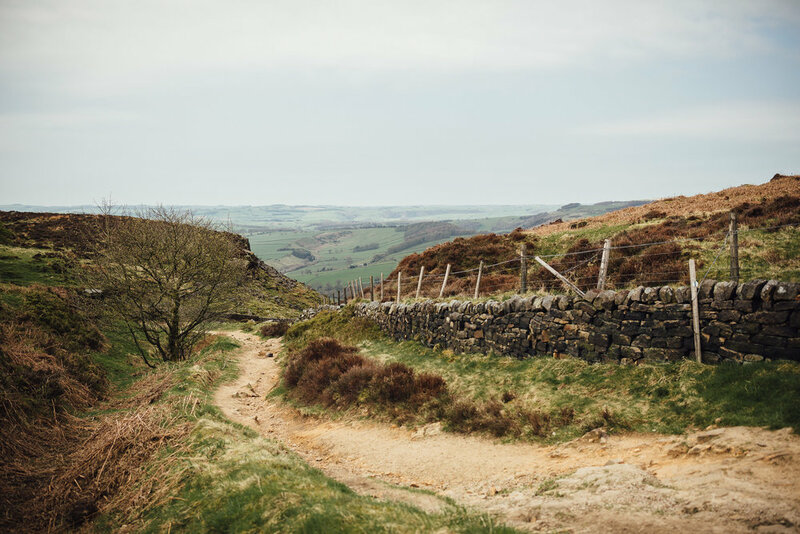 As these guys are in Sheffield and I’m a Nottingham based wedding photographer, the Peak District was an ideal spot for us to meet! It was a sunny, bright spring day with a bit of a chill in the air. 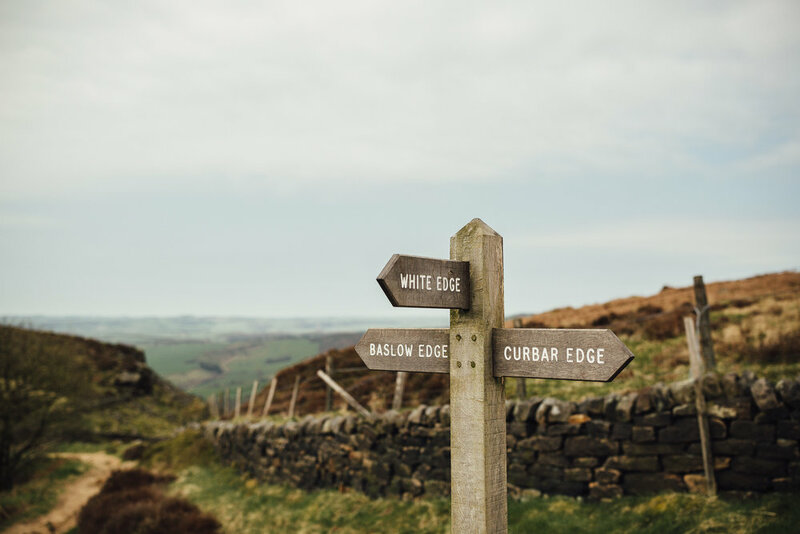 We set off at Curbar Edge which has really incredible views (for those not afraid of heights) and finished at Padley Gorge. We did however drive in-between, otherwise that would of been been quite a hike in one morning!! 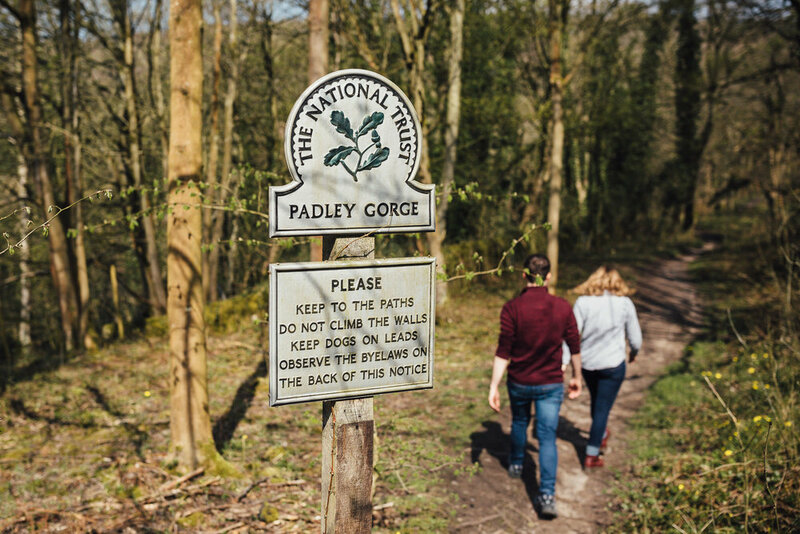 My wedding photography approach is all about telling a story through natural photos. 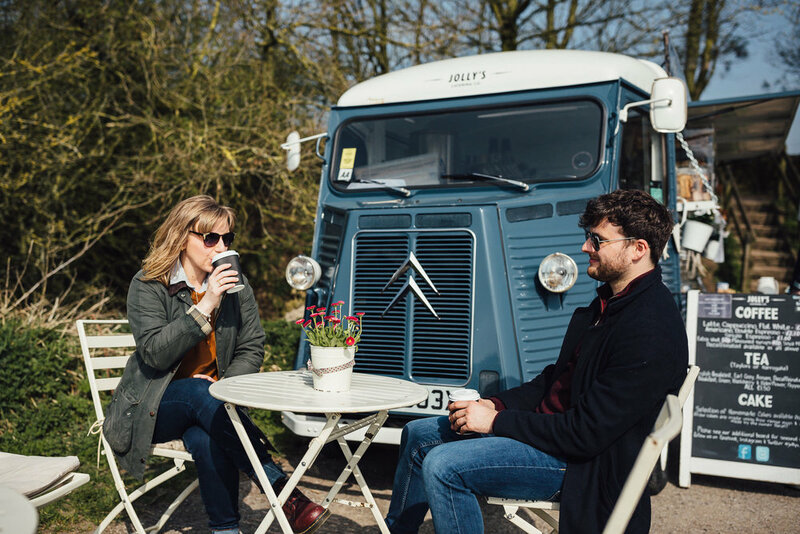 Cuddles, lots of giggles, epic landscapes and a quick coffee at Jolly’s Catering Co. Vintage Van made the perfect combo for our adventure. Kirsty and Sam could not have been more fun to photograph and I can’t wait to shoot the big day!